One of the fastest, most powerful Ferrari models yet, the 2017 Ferrari 812 Superfast is the brand’s latest attempt to push its own boundaries. Creating a new standard for power, this impressive supercar features a unique construction designed to harness the capabilities of its incredible engine specs and deliver undaunting performance. At its core, the 2017 Ferrari 812 Superfast is powered by a front-mounted 6.5-liter V12 engine that works in tandem with its rear-mounted transmission to deliver an unprecedentedly responsive and adaptive drive in a production car. This incredible engine layout allows to 812 Superfast to put forth a maximum of 800 CV, which comes to 788.74 horsepower at 8,500 rpm. It’s also capable of creating 529.57 lb-ft of torque at 7,000 RPM for exhilarating acceleration. These impressive specs allow drivers of the 812 Superfast to go from 0-60 miles per hour in just 2.9 seconds and go from 0-124 miles per hour in only 7.9 seconds. In addition to its quick acceleration, the Ferrari 812 Superfast is also able to reach outstandingly high speeds. As one of the brand’s fastest production cars, the 812 SuperFast is able to reach a top track speed of 211.2 miles per hour. When you take the amazing power and capability from the 812 Superfast engine and combine it with its aerodynamic shape and new electric steering, you get an exhilarating drive unlike any other. 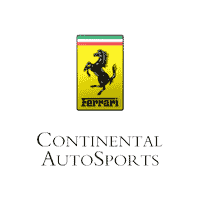 If you’re interested in learning more about this impressive model as well as the rest of Ferrari’s incredible lineup, be sure to check out the rest of our blog here at Continental Ferrari, as well as our online library of model research. What do you think of the engine found in the Ferrari 812 Superfast? Let us know in the comments below!